MWC 2011 is ]creating news about the launch of new Android phones and tablets, but we are getting some surprising news Android apps too. Jay Sullivan, Vice President of products at Mozilla, has told IDG news services at Mobile World Congress that Firefox 4 for Android will be shipping in a few weeks. As everyone, we are also expecting another beta version coming this week and then the final version should follow later. Sullivan also spilled some pretty exciting news about Firefox for Android: the version exclusive for Android will be rich with features and on the initial release a total of 150 addons will be made available ! Android OS already has a rich set bunch of web browsers ranging from the default webkit browser to Opera Mini and Opera Mobile web browser and others like Dolphin and Coco. 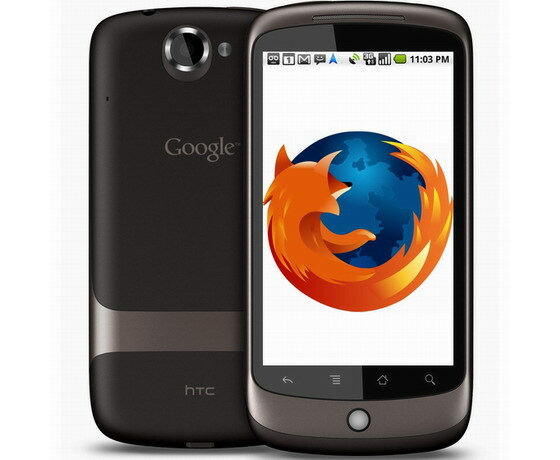 But a promising browser as Firefox for Android (codenamed Fennec) with HTML 5 rendering, hardware acceleration and sync could very well force other browsers to dig their own grave and bury themselves.